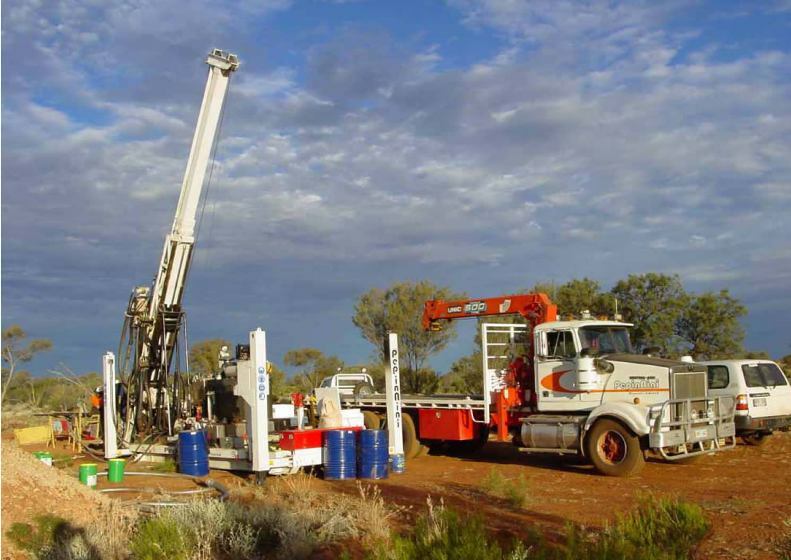 PepinNini Minerals Limited is undertaking exploration programs to target nickel-copper sulphide mineralisation and base metal mineralisation in the Musgrave Province, South Australia. The company holds 100% interest in two granted exploration licences (EL5220 and EL5735) and eight exploration licence applications (ELA118/96, ELA185/96, ELA367/09, ELA368/09, ELA189/15, ELA190/15, ELA191/15 and ELA197/15) covering approximately 14,003 sq. kms of the Musgrave Province of South Australia. 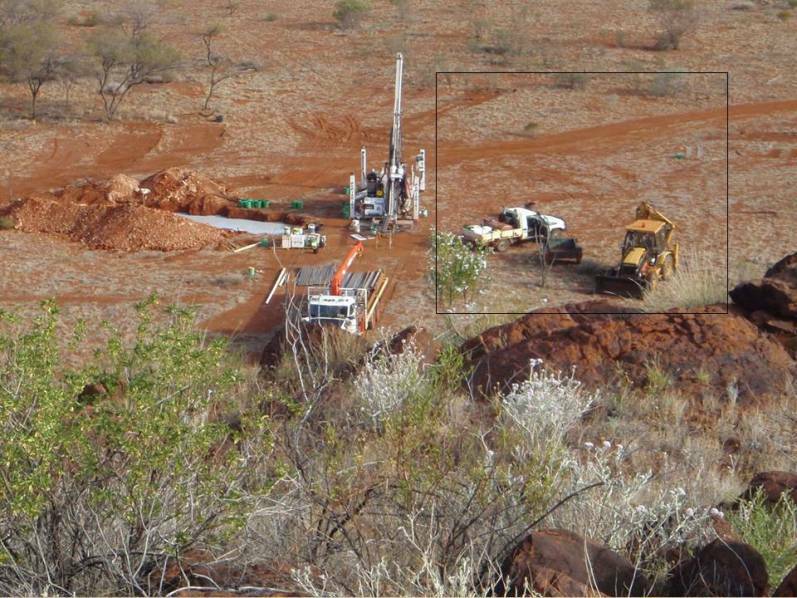 In addition, PepinNini is currently negotiating the extension to the Farm-in and Joint Venture Agreement with Rio Tinto Exploration Pty Limited covering five tenement applications totalling approximately 1,216 sq. kms. 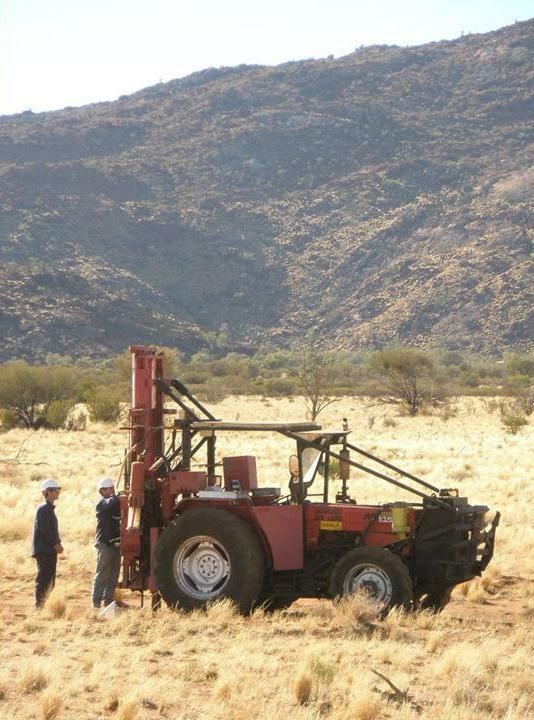 Unlike other Australian Proterozoic Blocks, such as Broken Hill, Mt Isa, Granites Tanami and Tennant Creek, the Musgrave Block has not been extensively explored or had its true potential tested and as such the region presents an exciting province-wide opportunity for the discovery of significant new mineral deposits. Regional investigations by the South Australian Department of Mines in the past have led to the recognition and identification of voluminous layered mafic-ultramafic intrusions of the Giles Complex with evidence of sulphide bearing ultrabasic rocks and elevated levels of nickel, copper, platinum, palladium and gold. Pentlandite and chalco-pendlandite mineralisation has also been recorded in surface samples collected during a field mapping activities at West Mt Caroline (PNNs ELA 367/09). It must be noted that access by government geological agencies has been limited and so the existing knowledge of the regions potential is limited. Remote data gathering techniques over the past two decades have provided new and improved datasets which include regional airborne magnetics-radiometrics, aerial photography, digital elevation and gravity. This information has reinforced the interpretation of large outcropping or relatively shallow Giles Complex intrusions across the province. 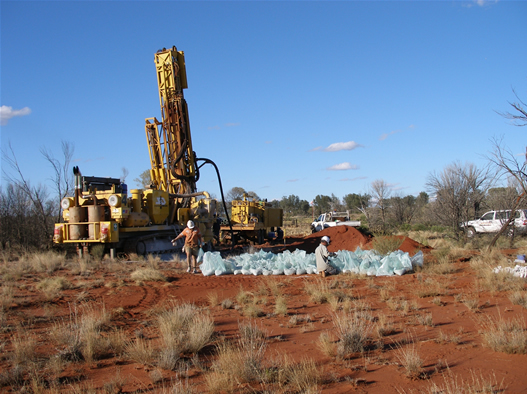 The Giles Complex is considered to be highly prospective for nickel-copper sulphide and platinum group element mineralisation following the discovery in 2000 of the Nebo-Babel deposit in Western Australia by WMC (392Mt @ 0.3%Ni and 0.33%Cu) which is now held by Cassini Resources Ltd (ASX:CZI) in Joint Venture with Oz Minerals Ltd (ASX:OZL). 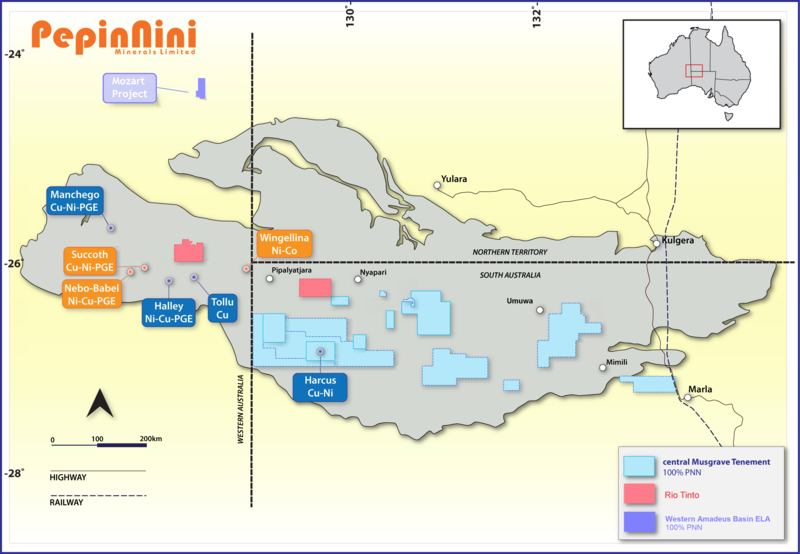 Prospective geology, which represent the priority exploration targets for nickel copper sulphide mineralisation and associated cobalt, gold and platinum group metals, are evident in each of PepinNini’s granted tenements or tenement applications. PepinNini is primarily targeting the Province for large magmatic Ni-Cu (+/- Co) sulphide deposits similar to Nova-Bollinger or Nebo-Babel (Western Australia), Voisey’s Bay (Canada), and platinum group element (PGE) sulphide deposits (Platreef, Merensky and UG-2 Reefs) of the Bushveld Complex in South Africa. 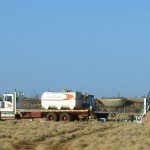 The company’s multi-commodity strategy also recognises the potential for Broken Hill style base metal (Pb-Zn-Ag) deposits and Mt Isa/Century style (SEDEX) base metal deposits with the Birksgate Complex metasediments which form much of the crustal block into which the Giles Complex rock are intruded. 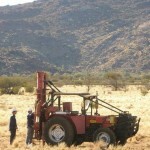 By applying a multi-disciplinary technical approach the company’s exploration team has been able to maximise opportunities for discovery by incorporating airborne and ground based geophysics, surface and sub-surface geochemistry sampling, geological interpretation and mapping, and basement target drilling within its activities. 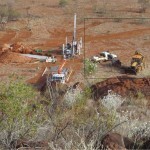 Reverse circulation and diamond drill testing of its nickel copper sulphide targets at Harcus, Moulden, Cooperinna, Woodroffe, Marawah and Caroline Prospects has to-date resulted in the discovery of disseminated and semi-massive sulphide accumulations containing up to 0.7% Cu and 0.3% Ni within mafic rocks thus reinforcing the validity of the approach. The company’s exploration focus during 2015-16 has been located in the south eastern portion of EL5220 where several prospective nickel sulphide targets have been identified from regional magnetic and gravity information. These targets are characterised by structural settings that may represent mafic feeder dyke systems analogous to the geological setting of the Nebo-Babel deposits in the West Musgrave. Airborne electromagnetic geophysical data has recently been acquired across these areas that will help to locate anomalous features for further investigations using ground electromagnetic surveys, vacuum regolith geochemical drilling and mapping, and diamond core bedrock drill testing. 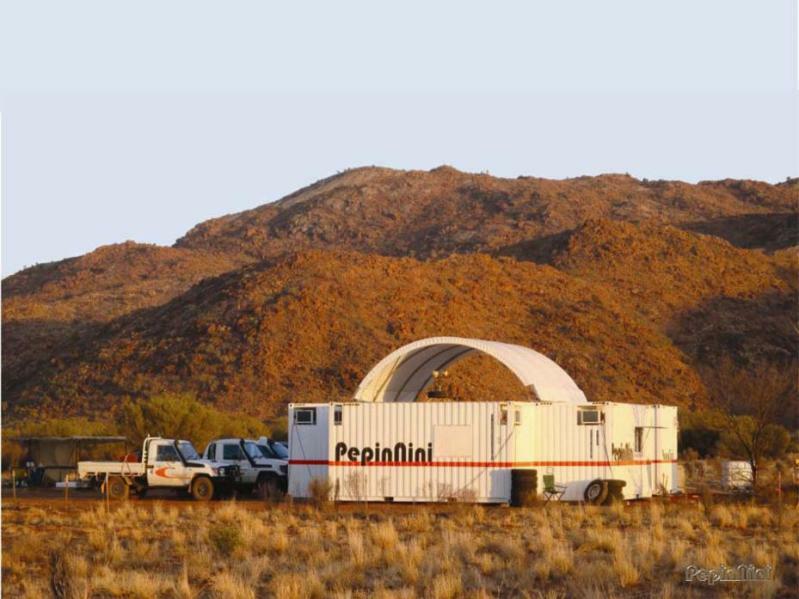 A Research and Development (R&D) collaboration between PepinNini and the Commonwealth Scientific & Industry Research Organisation (CSIRO) is underway which involves the interpretation of airborne electromagnetic (AEM) geophysical data which has only recently been acquired. The regional AEM surveys collected 16,000km of broadly spaced data over covered approximately 30,000 square kilometres of the central and eastern Musgrave Block. The surveys comprises two parts; a western block which was completed using the fixed-wing Tempest® airborne time-domain electromagnetic (TDEM) survey system, and an adjoining block to the east which was flown using the helicopter mounted SkyTEM312FAST TEM system. 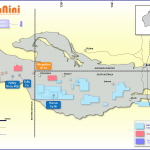 Approximately 20% of the regional surveys cover PepinNini’s tenure and are the first time that AEM data has been collected across these vast areas. 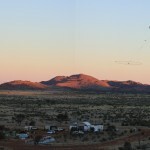 The airborne surveys formed part of a technical collaboration co-funded by the Minerals Down Under (MDU) division of the CSIRO, Geoscience Australia (GA), The Goyder Institute for Water Research (GI), and the South Australian Department of State Development (DSD – through the PACE Initiative) to primarily facilitate mapping of water resources in the far north west of South Australia. 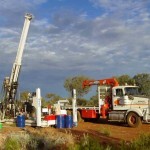 The R&D collaboration between PNN and CSIRO involves the utilisation of the regional AEM survey data to interpret and identify targets of interest and complete detailed AEM data acquisition across selected parts of the company’s tenements to facilitate the potential identification of buried mineral systems. Twelve areas were identified for infill AEM data acquisition which have now been completed. Three detailed surveys areas, located within the company’s Tietkins and Katalina tenure blocks were completed using the fixed wing Tempest® AEM system while the remaining nine areas located within the company’s Caroline, Anerinna Hills and Ironwood Bore tenure blocks were surveyed using the helicopter mounted SkyTEM516HIGH MOMENT TEM system which is best suited for detecting buried minerals systems. The SkyTEM516HIGH MOMENT TEM system was instrumental in the detection and led to the discovery of mixed massive to disseminated sulphides at the Marrawah Prospect on the northern side of the Caroline Intrusion and at the Byron Prospect (Cooperinna Block) previously identified by PepinNini. PepinNini is contributing up to $200,000 in funding toward the project for the infill data acquisition, where as the primary funding for the regional coverage has been provided by DSD, GI, CSIRO and GA for a combined project value in excess of $2.0m. 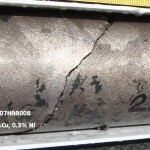 No geophysical surveys of this type had previously been carried out over the company’s portions of the regional survey areas which include parts of Caroline (EL5220) Tietkins (EL5735), Katalina (ELA189/2015) Anerinna Hills (118/96) and Ironwood Bore (ELA197/2015). 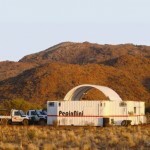 This recent program now means that nearly 64% of PepinNini’s Musgrave Project tenure has been covered by electromagnetic surveying techniques when included with the company’s previous Tempest, HoistEM, V-TEM and SkyTEM survey activities. 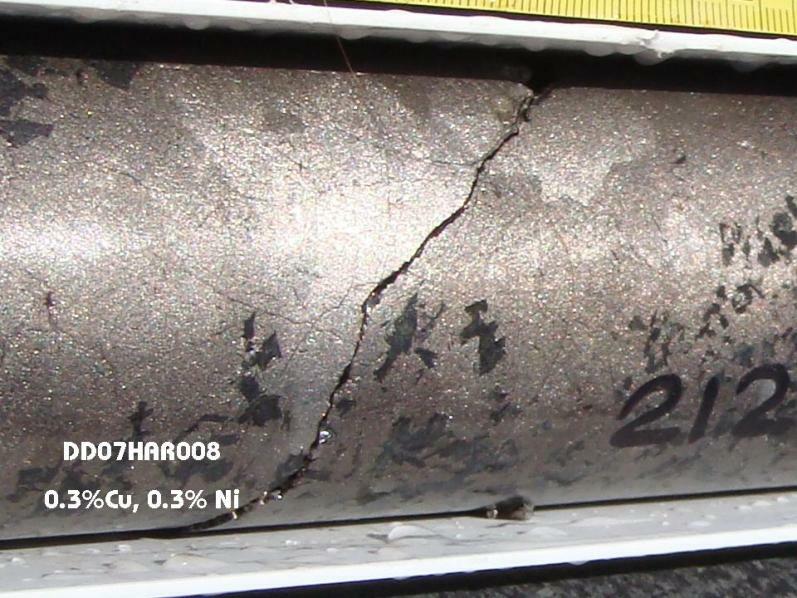 The AEM survey techniques can detect electrical conductivity responses indicative of massive or semi-massive nickel-copper-cobalt and PGE sulphide accumulations. The preliminary detailed infill survey data across the company’s targets has been received and is currently being assessed. Final data will be processed and modelled to characterise and prioritise quality targets worthy of additional investigation. The initial interpretation of the preliminary data has already identified a number of encouraging responses however additional processing and interpretation is underway to confirm and prioritise quality targets that will require further on-ground investigations.